As I entered the second week of the school holidays I was looking forward to a good week of training finishing with a three day Hillary Challenge training with Middleton Grange School at Lake Heron and the South Island Schools Champs. I’m not a morning person to put it simply, so getting up at 6:15 was a bit of an ask for me. Getting out of the car two and half hours later after being jammed inside with three other team mates, (both bigger than me) with my legs cramping up was quite a relief! But we were here … Looking out on the stunning landscape of Lake Heron! We were into it pretty much straight away! We got our stuff ready and got our maps. 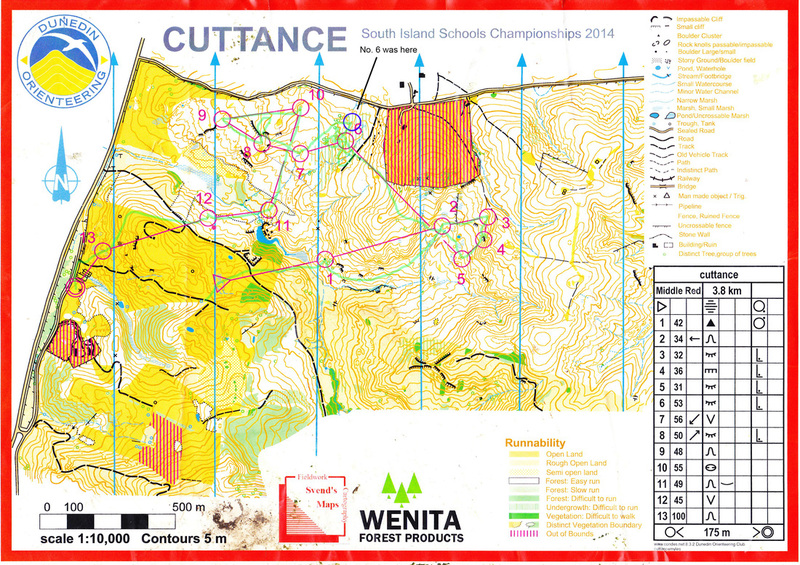 Sophie, Nick and I (being Orienteer’s) chose what we thought was the best route for the next two days in about 40 seconds! Too quickly we later realised. The first three hours of the day were on the flat. Slightly undulating immaculate grass, it was amazing! We needed to be in a “camp” of our choice by 5pm, but it had to be within 50 meters of running water. Sophie, Nick and I took this into account and planned a route that would take us up the hill to collect some big pointers and back down again to camp. We headed up the hill and it wasn’t long before we found ourselves knee-deep in snow. But that was fine, no one seemed to be complaining… until we realised that we wouldn’t have enough time to get back down! There was plenty of running water up in the hills so we found a nice patch of snow to camp on. We set up our tents, gobbled down dinner and went to sleep. It was 6:30, earliest night ever! I was abruptly woken by Sophie and three other team members shouting at me from outside the tent. I got out and realised just how cold it was! No one could fit into their frozen boots, and the water that we left that night to boil in the morning had also frozen! But soon enough the sun came out and warmed everyone up. But then of course by 12 o’clock it was too hot and everyone was stripping layers. We got back down to the flat at about 1:30pm and had to make it back to the cars by 5, which we did, after encountering some interesting mapping by TOPO New Zealand. Sitting round the fire we had just made and watching the stars was truly remarkable! The Rogaine was over, but we still had the Multi-sport race the next day to go! So by 7:30, the campsite was silent. Second earliest night ever! It was chilly morning as arrived at the long for the South Island Schools Champs. I ran up that steep track to the start, that some may be familiar with at Cuttance Block. I felt surprisingly good considering what I had done over the last few days! The first control was nice, a good site for a first control. The forest nice and clean underfoot and visibility was pretty good, I headed round to the right past the small cliffs up into number 2. I was really happy to have that burst of three controls in short succession to keep things interesting and then a route choice control straight afterwards. For this control I headed along, past 2, up the re-entrant and over the top just clipping the fence corner on the way down. I kept my bearing and soon found myself passing the rocky pit and onto the track. My race was going pretty good up until this point. It was unfortunate that this control (no. 6) was in the wrong place. Feeling frustrated I ran fast to 7 and got it, my exit direction out of this control was sketchy and I was too focused on making up for lost time. I ended up too high and too far over to the right (north) but soon relocated and ran to the control. The next three controls were awesome! Dipping and ducking under, through and around the near zero visibility of macrocarpa trees, with nothing under foot!!! I contoured and ran up the hill to number 12 and lost a little bit of time in the control circle trying to locate one of four pits, but I was soon out of the forest and into the open. My route choice for 13 was interesting, I went quite high and then ran down into the control. I could’ve saved myself climbing and just contoured all the way around. The event was great! Good to see Conner Cleary, Stephen Harding and some other young guys doing very well! Thank you too all the Dunedin organisers who helped with the event!